As in major cities in the world, Vienna boasts of its own authentic cuisine. In fact, this Austrian city is known for its culinary tradition so unique from other capitals of the world. Viennese food is a combination of various nationalities and food cultures so never miss out on this when you get to Vienna. Some of Vienna#s specalities are famous all over the world: the Wiener Schnitzel, Tafelspitz, Esterhazy Rostbraten, Sachertorte, Mannerschnitten or Christmas Punsch are enjoyed way beyond Vienna. This dish is synonymous to Vienna. 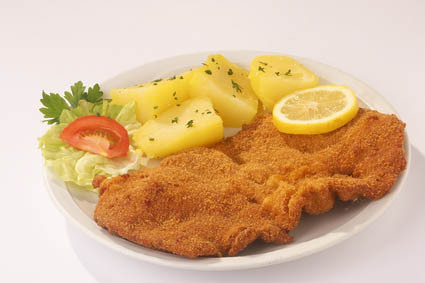 It is one of the city’s specialties featuring fried and breaded veal cutlet. Pork, chicken and turkey can also be used. The meat is first pounded to make it thin. Then it is dipped in flour and then in egg before it is coated with breadcrumbs. Lard is used to fry it. Deep frying is preferred. The Austrians are so protective of their Wiener Schnitzel that the term is protected by law and can only be used for the original recipe Schnitzels from veal meat. This is a beef dish garnished with gherkins. Beef and vegetables are boiled until tender. 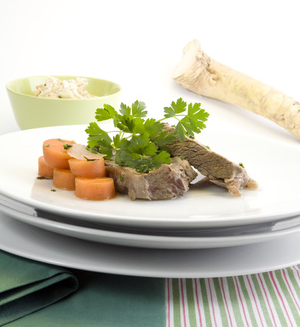 When cooked, the beef is sliced thin and served with vegetables, roasted slices of potato and horse raddish. Named after the famous Esterhazy family, this is Vienna’s popular steak dish. The round steak is broiled first and then later baked in a large casserole with the vegetable sauce on top for one and a half hours until meat is tender. This dish comes second to the famous Schnitzel. Known as Vienna’s version of the chocolate cake, this delicious dessert makes use of dark chocolate and apricot marmalade as filling. 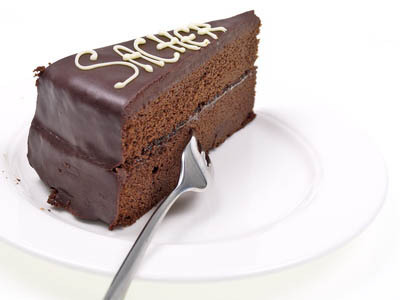 The Sachertorte was invented by a Mr Sacher in 1832 – over 180 years ago! The Original Sachertorte is only made in Vienna and Salzburg, and is shipped from both locations. The only place where you can find the Original Sacher Torte outside of Austria, is in the Sacher shop of Bolzano, Italy. This refers to wafers invented in 1989 by Mr. Manner in commemoration of Emperor Franz Josef’s golden jubilee. 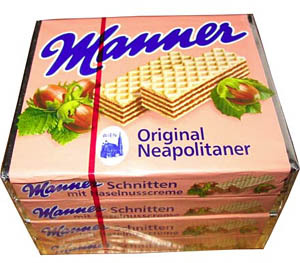 A popular chocolate snack, this has hazelnut cream in between the layers of wafer. The original hazelnuts used even came from Naples. Actually a Christmas punch, this hot and sweet drink is popular during the period leading up to the christmas season. Although this has many variations, the two most popular uses mulled wine as well as a mix of sugar, spirits, tea and spices.